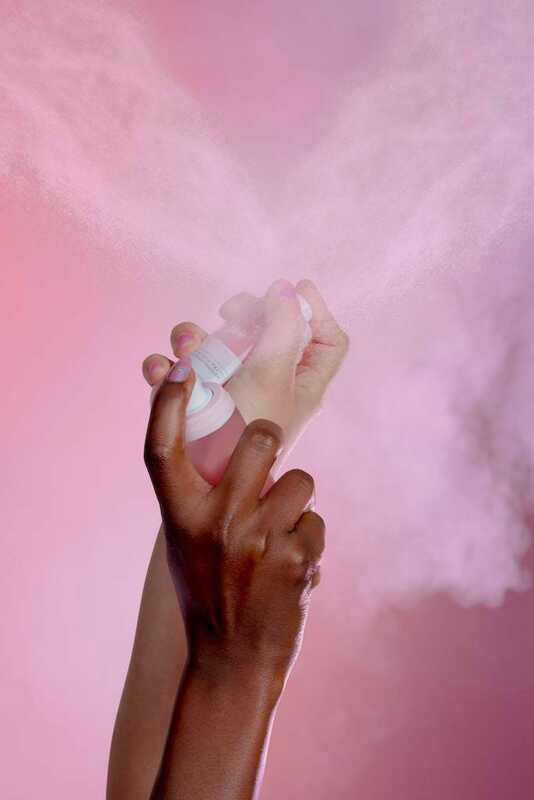 Watermelon Fog Mists help to keep skin hydrated for hours on end. South Korea is a game changer and power player when it comes to beauty. In recent years, it has birthed products and regimens that has forever changed the way we care for our skin. BB Creams, although originally from Germany, became a worldwide sensation only after Koreans decided to integrate them as part of a makeup routine. Other innovations that carry the distinct K-Beauty beauty stamp include: snail creams, 10-step skin care routines, masks sheets, just to name a few. The beauty junkie can easily drown in a wide selection of products, rituals and treatments that K-beauty has to offer. It was with this in mind that industry veterans Sarah Lee and Christine Chang thought to create a “a lovingly curated destination of natural, harsh-free beauty products and provide the latest skincare trends from South Korea.” They called this space, Glow Recipe and since it’s launch in 2017, it has been advocating top performing Korean beauty products that follow sustainable practices. Items highlighted on the site are also selected on the basis that ingredients utilized are environmentally sound. When Glow Recipe launched, it also introduced the Watermelon Glow Sleeping Mask which jumpstarted the watermelon trend in the beauty industry. 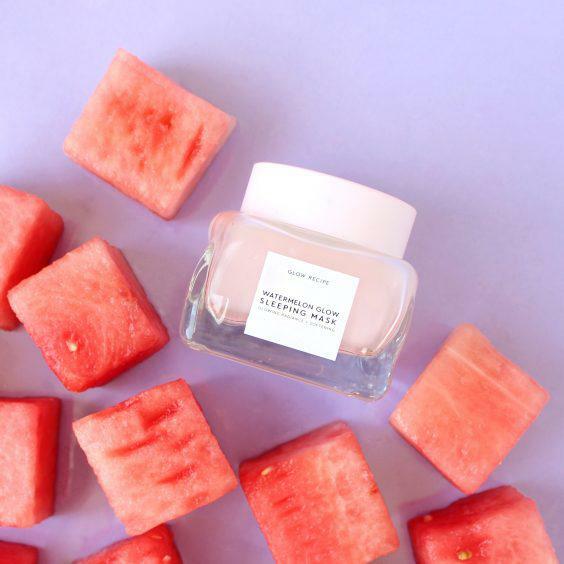 The team at Glow Recipe shares, “The OG Watermelon Sleeping Mask quickly gained cult status…selling out multiple times.” The phenomenal success later led to other watermelon-based beauty products being rolled out: Watermelon Glow Pink Juice Moisturizer and Watermelon Glow Jelly Sheet Mask. 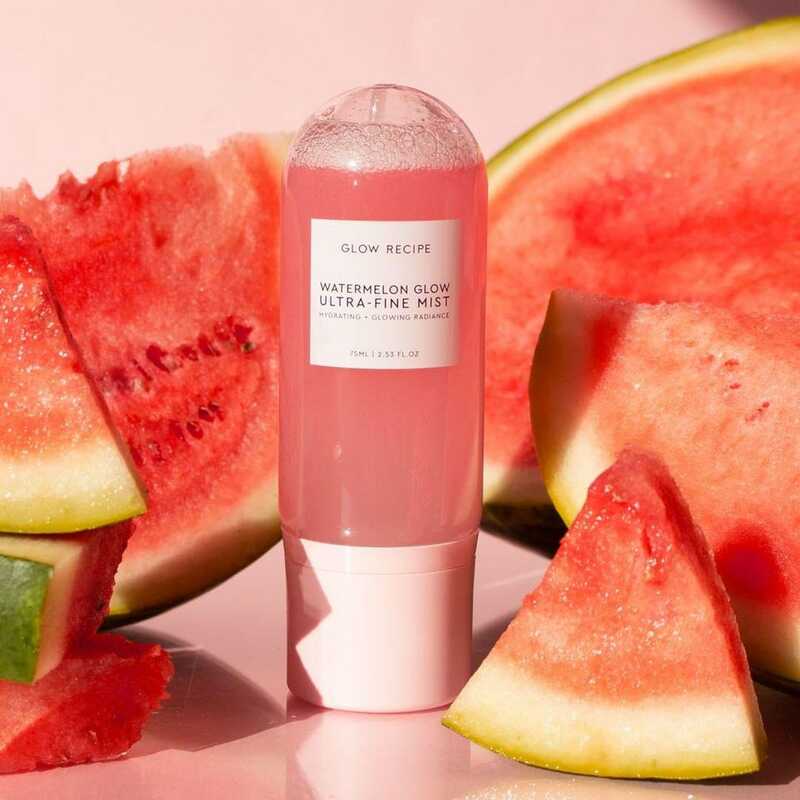 Glow Recipes Watermelon Sleeping Mask was a beauty gamechanger when it launched in 2017. Glow Recipe Watermelon Glow Ultra Fine Mist Fog refreshes makeup and helps keep skin radiant and moisturized throughout the day.